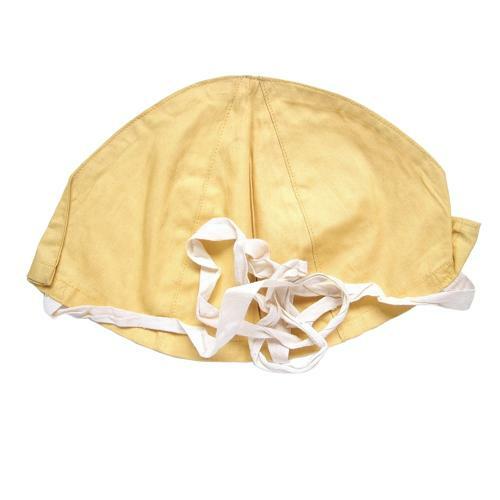 Yellow cotton skull cap with white tying tapes. Crisp Air Ministry King's crown markings. Superb unissued condition. Fits in the front pocket of the 1941 pattern Mae west. Stock code MW17752.